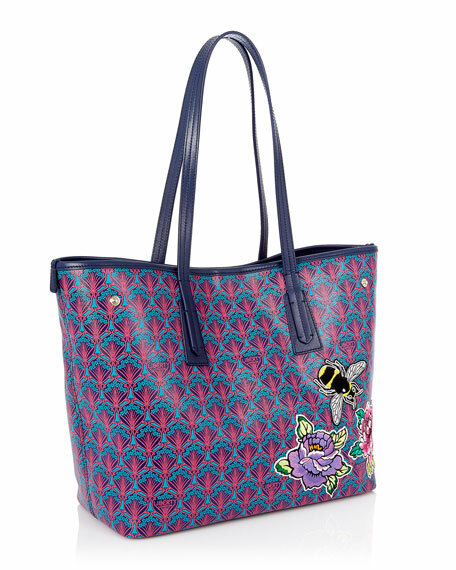 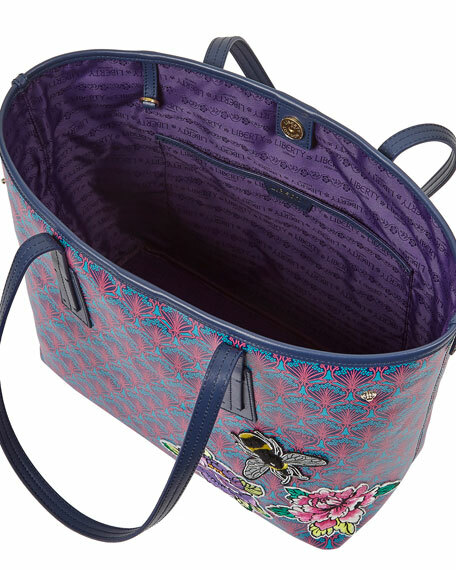 Liberty London coated canvas tote bag with floral and bee patchwork features. 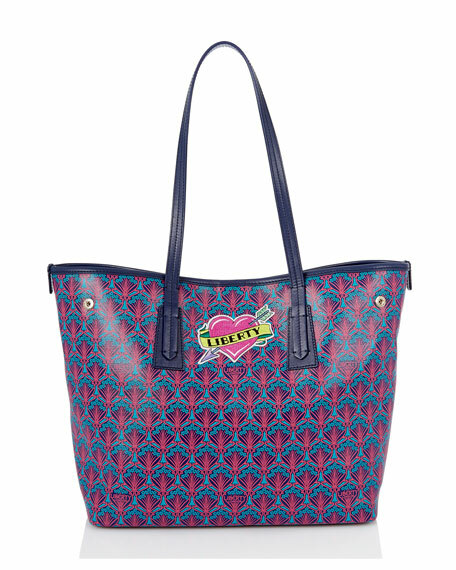 Flat stitched shoulder straps anchored onto body, 9.5" drop. 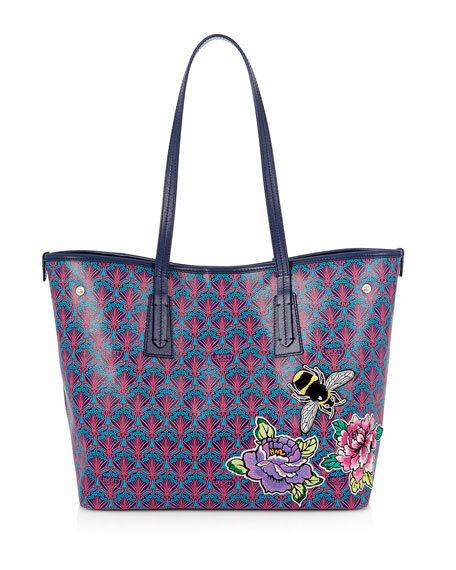 11"H x 13"W x 6.7"D.
Iphis is a modern reworking of the much-loved Liberty Ianthe floral design. 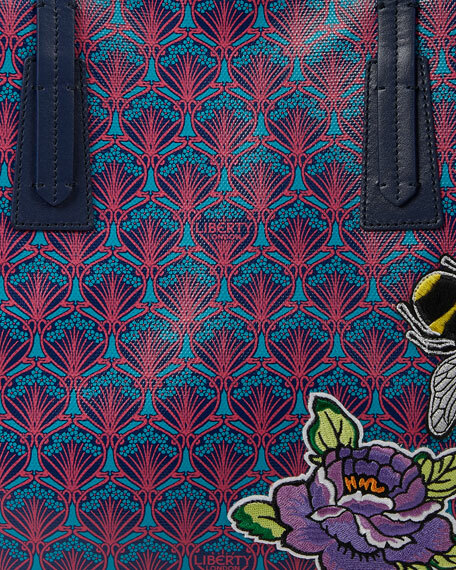 Paying homage to both Greek mythology and Liberty brand heritage, Iphis offers a fresh, Art Nouveau-style finish.